in Pilates or Personal Training Field Today! Fitness professionals will use Pilates Principles to challenge their seniors and injured juniors. How do you learn all these things if your past training didn’t include senior fitness? 100 million baby boomers (over 50) that make up 30% of our population? The CDC stated 80% of seniors have one chronic medical condition, 50% have two or more. Are you prepared to teach Pilates or Fitness to the largest population entering the fitness industry today: 55 and over. Can you handle these senior “tissue issues”? Learn to safely and confidently teach exercises that improve ADL’s (activities of daily living) while improving posture, balance and breathing. Demonstrate your knowledge of what your client goes through when they are in pain. Chapter II describes how to do a body and gait analysis. Both are important evaluation techniques to determine how to begin a new client. Chapter III demonstrates how to breathe correctly and fire your core muscles. The Bar Press Down wakes up these core muscles and helps your client feel correct postural alignment. Chapter IV deals with foot sensitivity and the use of shoes in place of barefoot. Chapter V placing feet in Pilates straps can be difficult so an elastic band can be used. Chapter VI Hands in Straps gives options if the client cannot maintain table top legs position because of core weakness or back pain. Chapter VII arm work can only be done correctly if the shoulder is in the right place. These exercises demonstrate joint positioning before exercising. Chapter VIII shows how to stretch the Psoas muscle. Everyone sits way to long, plays golf or does lunges which engage the hip flexors. Using the Pilates reformer or a physio ball on the floor, your client will relax the psoas muscle and maybe end their back pain. Chapter IX strengthening the glutes with correct body alignment is imperative. Chapter X hip stretches with options for bad knees. What if your new client or clients have multiple tissue issues? Most seniors 60+ have several physical challenges at one time like osteoporosis and hip replacement and overweight and, and, and. How do you create a safe exercise program for new senior clients? New exercisers have not felt their muscles or body parts in years. They have postural problems that they are not even aware of. Did you know some clients don’t have fat pads on the bottom of their feet making the soles very sensitive? Were you aware that some clients have rotated hips, forward shoulders and a neck tissue hump? 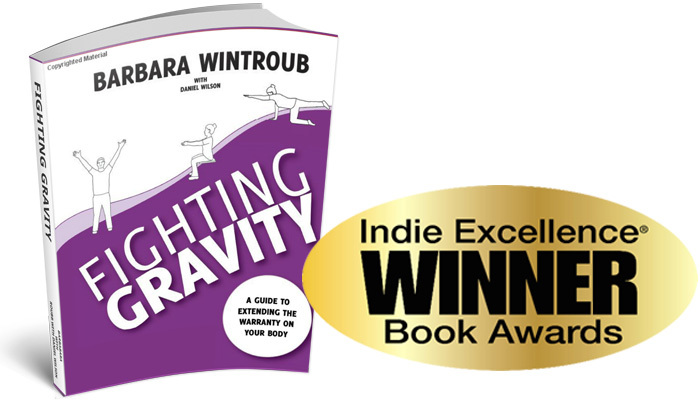 As a Boomer teacher, you must understand and teach how to achieve correct posture, feel unused muscles, overcome issues, create an individualized fitness program and problem solve when issues arise. When do you learn all these things if your past training didn’t include senior fitness? NOTE: Feel free to forward to the beginning of the webinar at 4:54 min. The webinar was delayed due to technical issues. 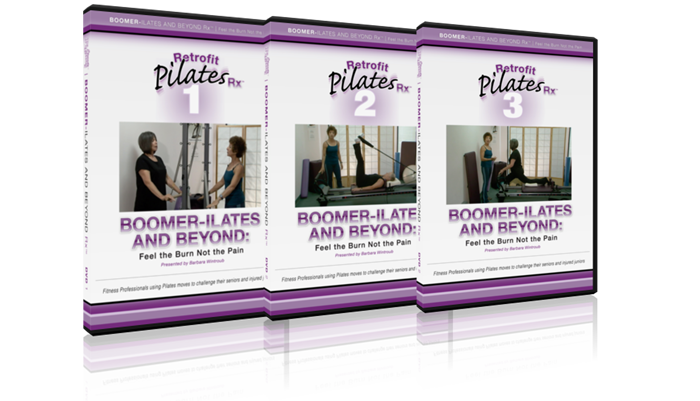 I highly recommend the Boomerilates course for any Pilates instructor teaching or wanting to teach the over 50 population. I learned exercises that help my senior clients improve their core strength , flexibility , mobility and daily function. BOOMER-ILATES AND BEYOND HOME STUDY gives you all the tools you need to become the most knowledgeable active aging consultant in your area. Grow your senior fitness business, attract and keep new senior clients, become the expert you wanted to become. Take the BOOMER-ILATES & BEYOND Home Study course TODAY. annual requirement and includes a manual and final exam.